Half of the year is already done. Went fast right? When was the last time you reflected upon yourself? I know. 183 days have past in 2017 and its quite unbelievable that it felt like we time-traveled. It feels like a race against time to catch up with everything. Have you done your goals? Are you chilling too much that you’ve lost your momentum on building your vision? Have you made any efforts to tick-off your bucket list? Have you improved anything about yourself? Have you finally made a turning point that would change your life? 183 days is a lot and for sure you should make some progress. If not, let this be a self-reflection to re-align your goals. Looking back on my 2017 has been an amazing journey. Let me share to you some of what I’ve done. This is not to brag about my stuff but more a reflection for myself to do better and to inspire you as well. Chill has been a word that does not exist in my dictionary anymore. Not that I can’t, I just value my time properly. Ever since I had the sense of urgency to accomplish something everyday, I’ve become more practical with time. Is it Tim Ferris’ fault? Probably (yes I’m a huge fan of his book “The 4-hour Work Week” and his podcast “The Tim Ferris Show”). Is it because of my routines? Possibly. Is it because I’m becoming more mature to handle my time? Definitely. Most of all, its because of making a lot of mistakes and improving on it. I’ve made a lot of multiple attempts at various methods. Read a blog, followed it, didn’t worked, then moved on to another. Repeated the cycle until I became comfortable with something. There is no perfect formula to productivity but as I move along, I tend to figure out which works best for me. No matter how small your work is, as long as it contributes in your long-term goals its fine. Apart from productivity, I’ve been through a lot of challenges. Let me break down the points that defined me this year. This year has been my biggest test of leadership on both career and non-profit. As the community grows, it becomes more difficult to manage and we’re left with more challenges on our plate. Managing events, mentoring people, talking to communities, and inspiring people are some of those humbling tasks that I was able to do. To me being a leader isn’t about the title, its a commitment to inspire and motivate everyone. Upon getting immersed with the real leadership experience, it has lead me to some conclusions from the past. I used to be an active member on organizations but I realized there are two common syndromes as to why organizations don’t move forward: the hype and no clear goal. Hype is the most common mistake potential leaders commit. We’re so excited about hearing “president” in your portfolio or head of this-awesome-role but along the way are you consistently doing what you’re tasked to do? Are you inspiring enough to your people that they want to make change? More importantly, are you moving beyond your call of duty? Hype is one of those reasons why a lot of leaders fail. They initially get excited yet get lost along the way. Why is that? This leads us to our second reason, having no clear goal. You got into the position for 2 reasons, either people selected you from your credibility or you easily got your way up with no motive of serving your people. If you got in for the second reason, its clear that you don’t have a vision for your people. This is where I’ve seen leaders fall and setting the direction is important. Learn to set realistic goals with a certain timeframe and make sure its aligned to the vision of your community. Of course, you can’t be a leader by just being the chosen one. You have to show the people the change they wanted and inspire them as you work. Continuously build the efforts and you’ll realize how much impact you’ve made to your people. Race against time as I call it. I’ve been more practical than ever on spending my time. Since time moves fast, I can’t afford to waste it. After all, it is the most valuable asset. I’m already on a point wherein I want to accomplish something everyday. Read a book, code, listen to a podcast, watch an educational video, a lot. Looking through the best people on earth makes me motivated to do all these things. Certainly, I don’t have all the time in the world to do all of the never-ending to-do goals that I have but I try to finish what I’ve started. I don’t want to fall from the hype train just because I saw something cool. Distractions are everyone’s main opponent so be firm with what you want to accomplish. There could be days that I might be stagnant but I just look into the good side of it (hey nobody’s perfect but at least I’m trying!). Did I learned anything? Did I created value for someone? Not really, but I did something small that would help me achieve something big. Productivity hacks are one of the skills I’ve developed this year. As mentioned earlier I’ve experimented a lot! Some of the most effective ones were the Pomodoro technique and the 4-hour work week (kudos Tim Ferris!). Since I work at my own pace with no static 9-5 schedule, the 4-hour work week is pretty feasible. I also took at heart the 80-20 rule. Work 20% of the efforts to produce 80% of the results. Work smart, not hard! Unlike the good old days where a little temptation of games and browsing Facebook could suddenly lead to distractions, I’m disciplined enough to lay them off for a while to focus on something important. As you know, your 5 minute distraction could turn into 1 hour of slacking. Don’t risk your temporary happiness in exchange for the long run! Part of my discipline is to save money. Now that I’m valuing more on my money, I’ve became more financially literate (thanks to entrepreneurship) and I’m saving a certain percentage of what I earn. Gone were the days were impulsive buying was ruling over. I’m glad I’m still young while risks are low and not much obligations exist on my plate. Those were the lessons from the past that I was able to overcome. Time to let go of luxury and invest in the long run. Overall running a startup has taught me most of the discipline. Since I am running at my own pace, it taught me a lot of values to move independently. It took some time but the perseverance is finally paying off. This has been the riskiest year for me. “How risky?“, you ask? I’m held to a position where a wrong move could lead my comrades to their downfall. I’m done on the days where I have time to weigh-in decisions and ask for advice before making careful decisions. Now, I make crucial decisions which requires me to answer on the spot. Knowing its a rash decision, it could miss out the blind spots of the other side. So far, I haven’t made a huge mistake yet. Fortunately, its the experience I’ve built that made me confident in selecting decisions. As I’m getting into rash decision making, I’m becoming more rationally stoic on decision-making. The risks have also started to pay off. You know what they say, high risk equates to high returns. Left my job to start my own venture, disrupting the status quo by starting a non-profit community, and doing side-hustles that creates value to society are some of the best decisions I’ve made. 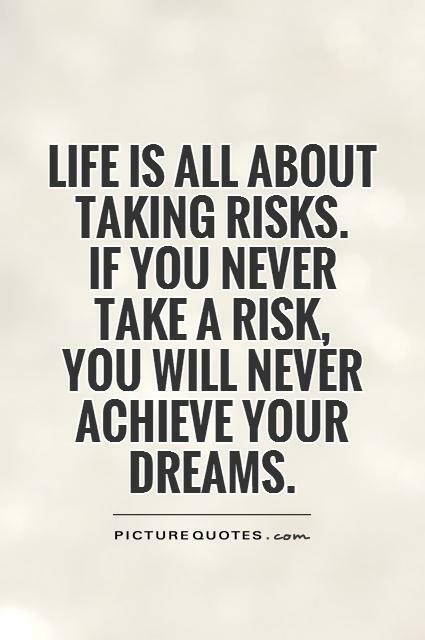 One of the risks are also my financials. Given the tight cash flow (and frugality), I’m still held up to a position of a do-or-die mode. Spending on A would mean a loss for B. I guess that was gambling in real life. Money plays its own game but this experience created an awareness that I should further be wise about money. Okay this is just a random pun. What does that have to do with my year? Well to be honest, I don’t believe in superstitions but this year seems to resonate. This year is the year of the rooster and its my year for the Chinese calendar. You know what that means? Rooster party! I don’t want to call it luck. I control my own fate so its the decisions I made yesterday that made me who I am today. Everyone has a big goal. The question is are your actions enough to address them? Chill is your main opponent. Don’t let that temporary cool down eat up a lot of your time! Learn how to discipline, be productive, and be goal-oriented! For the remaining half of 2017, Im pretty sure it would be more exciting. More challenges, opportunities, and more people to meet with. I’m all set than ever and I’m ready to seize the day! So inspirational! I never knew you were a writer. Thanks Erin glad you enjoyed it! Why yes I am! omg #2 is so true, especially those distractions! One notification always leads me off focus, so I just mute everything from social networks to even TV and radio. Hi Royce glad we’re on the same boat! Yes best to distance yourself from those distractions to keep your focus on work.